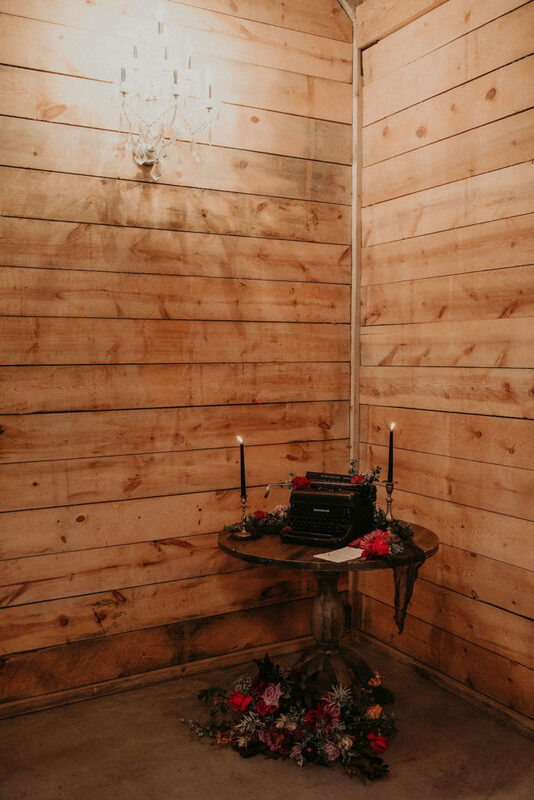 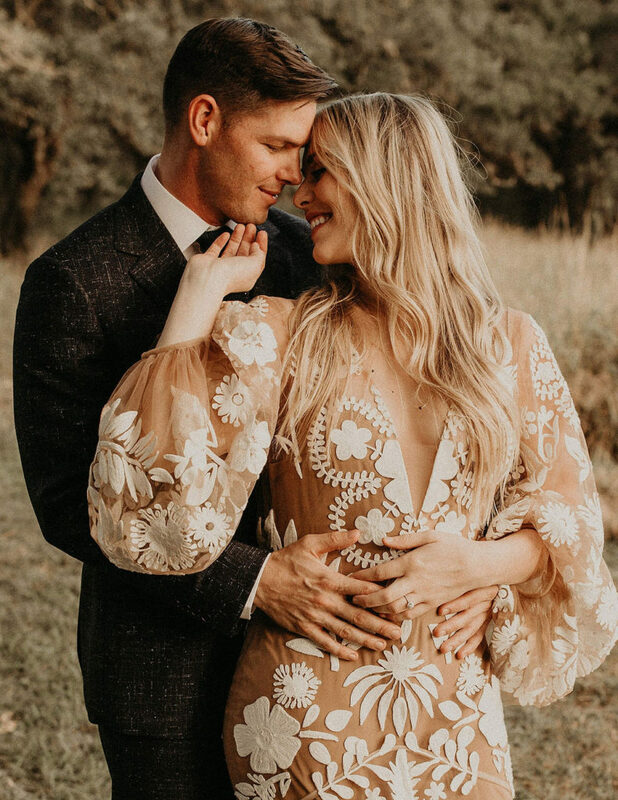 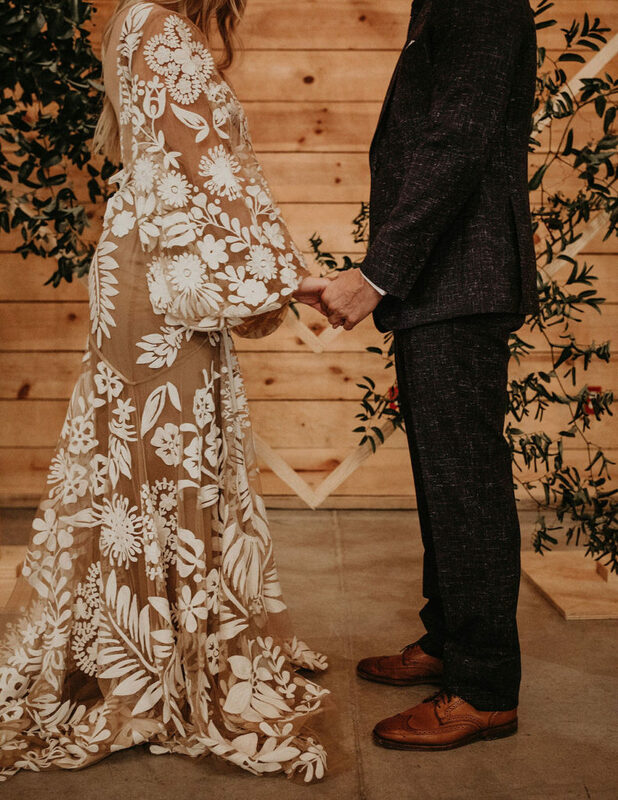 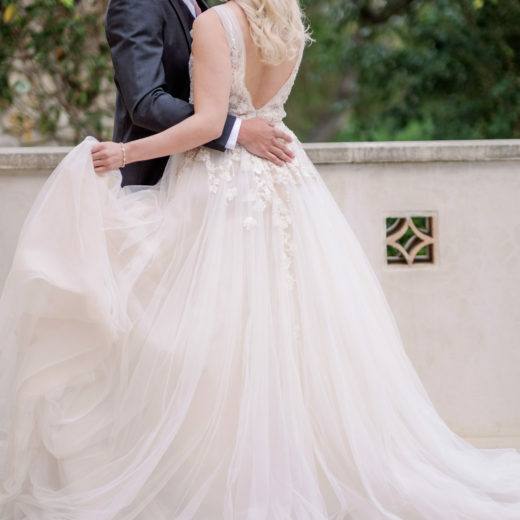 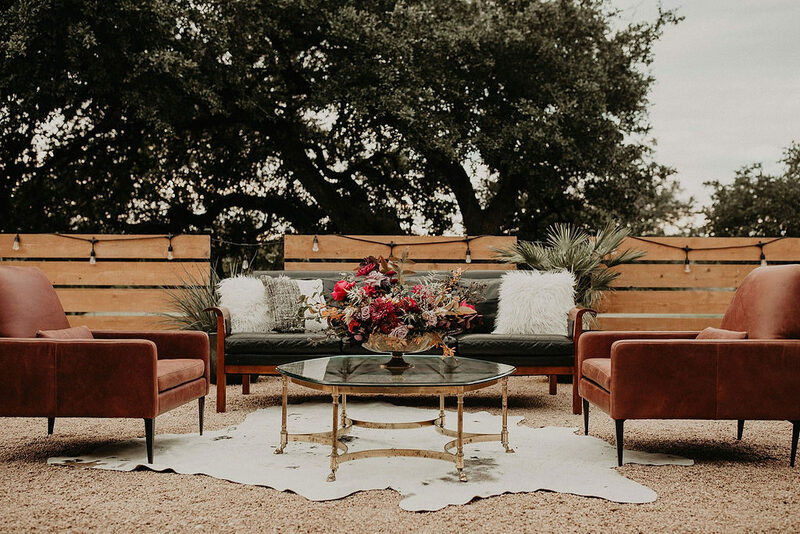 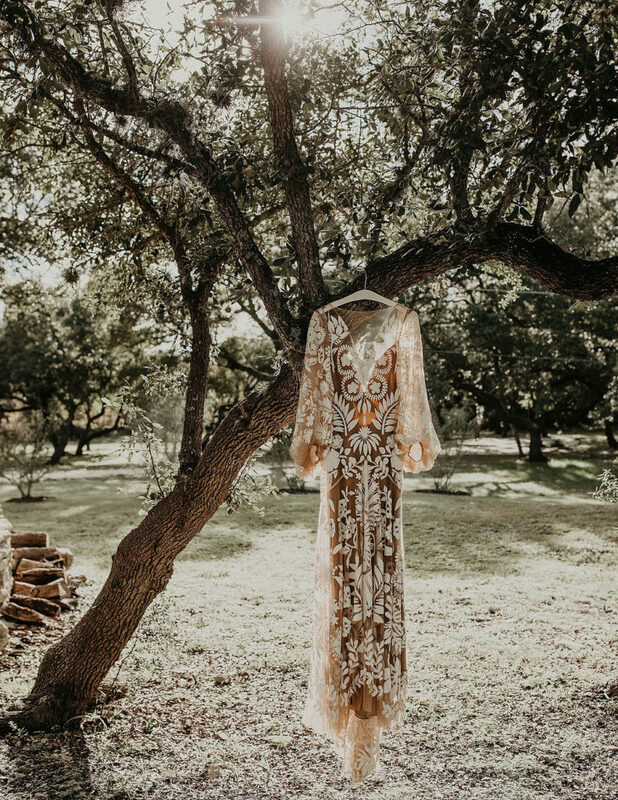 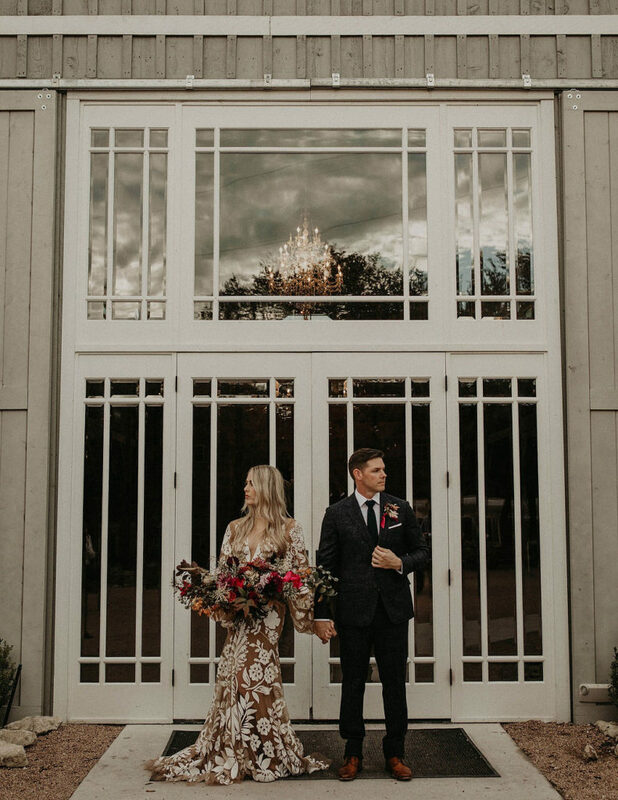 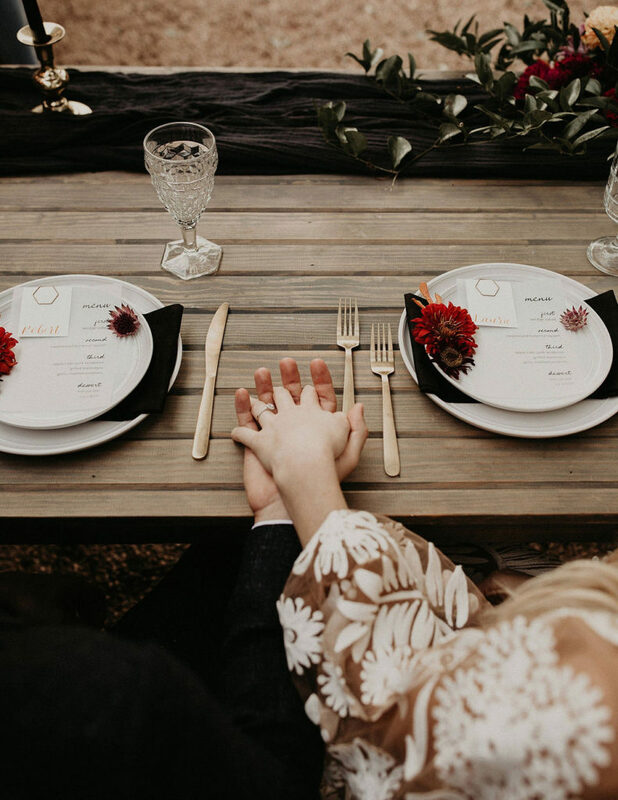 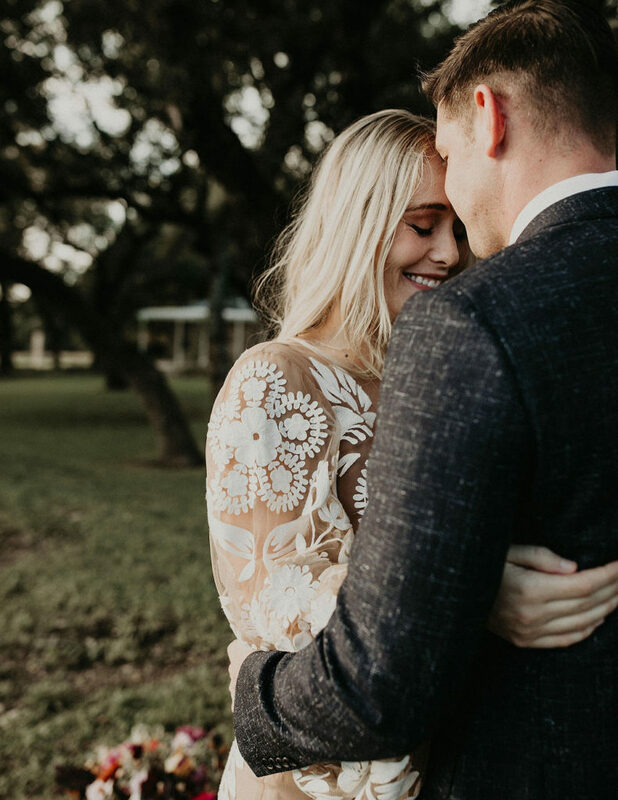 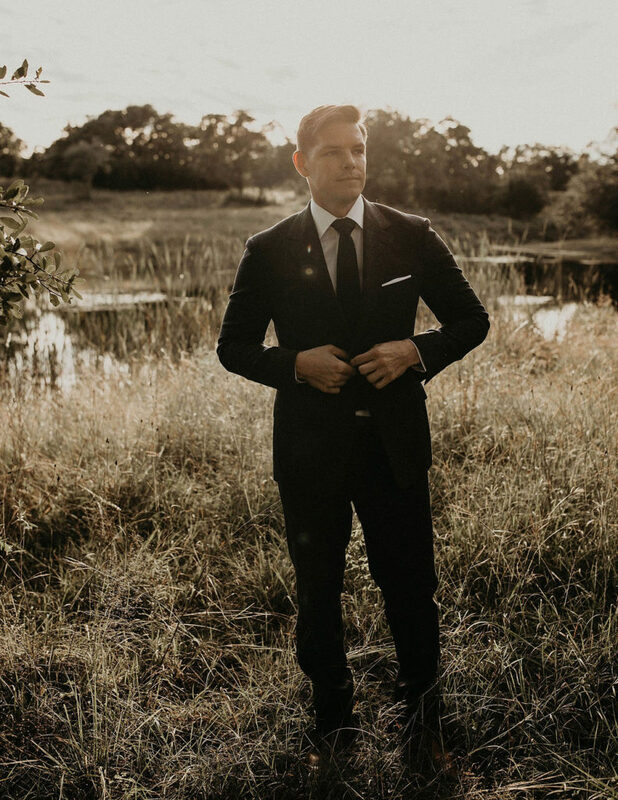 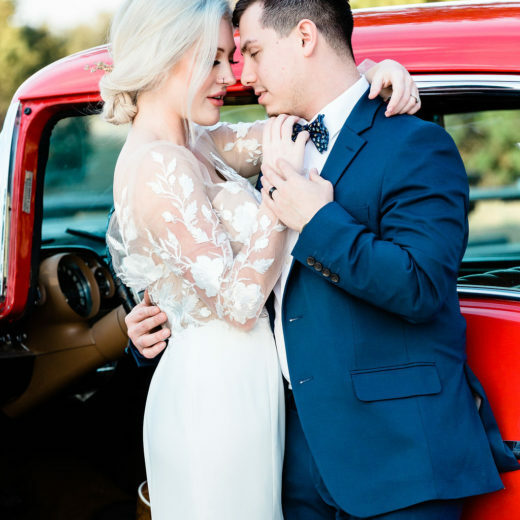 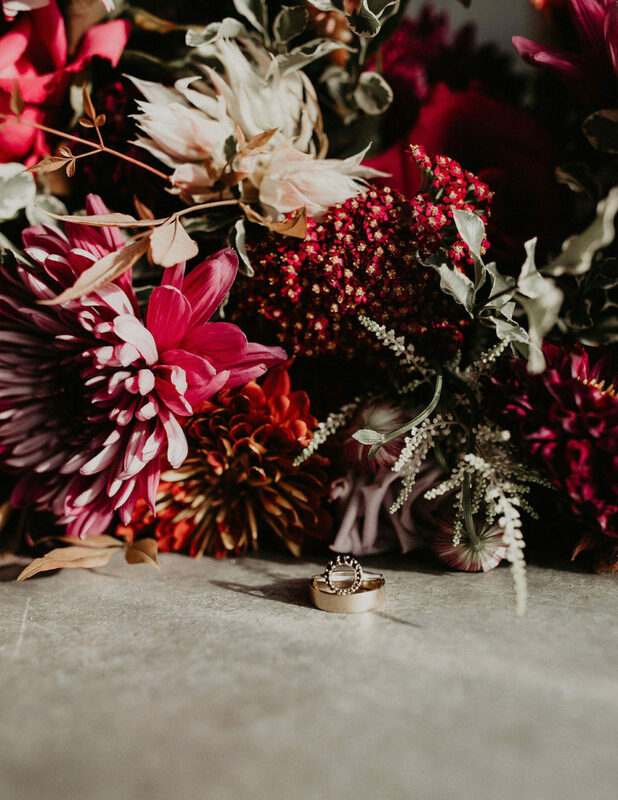 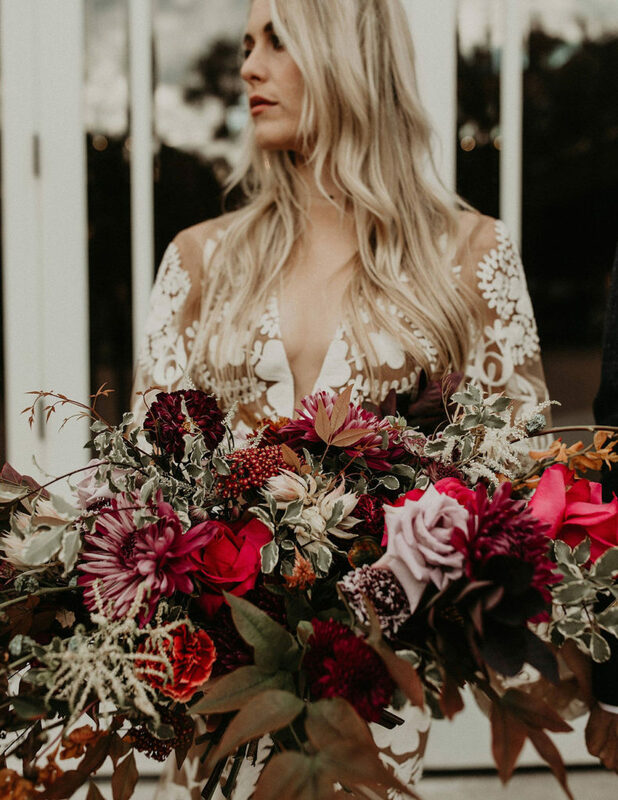 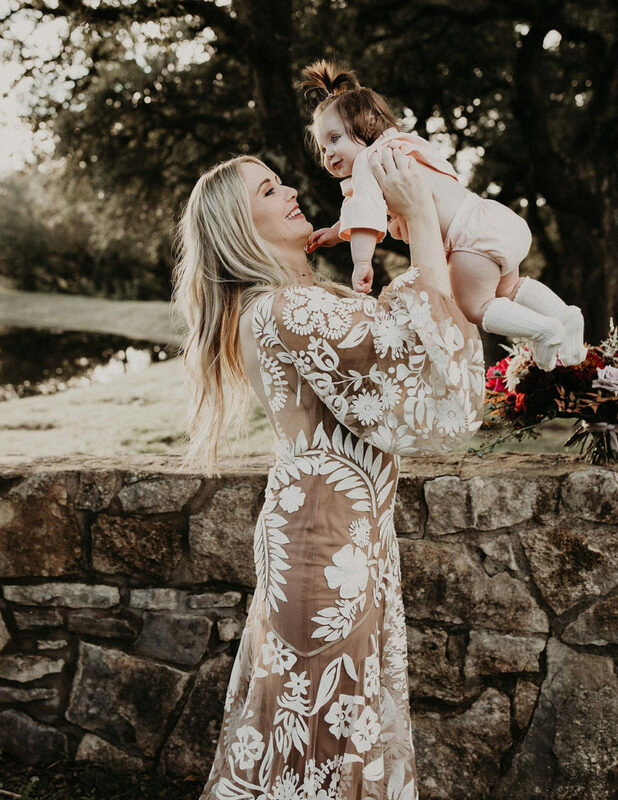 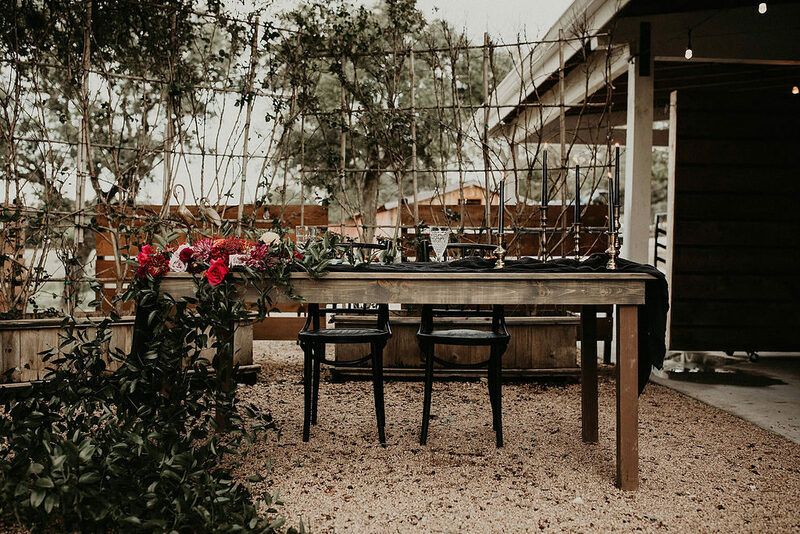 In the words of Alex Moreau, the amazing coordinator that helped make this shoot possible, “This stunning one of a kind bohemian inspiration shoot in The Addison Grove in Dripping Springs, Texas will hit you right in the feels.” We couldn’t agree more! 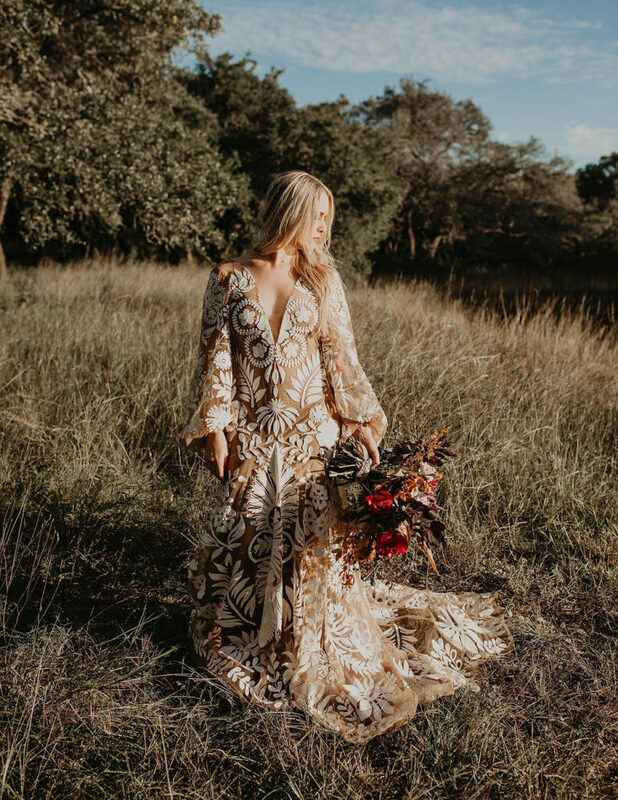 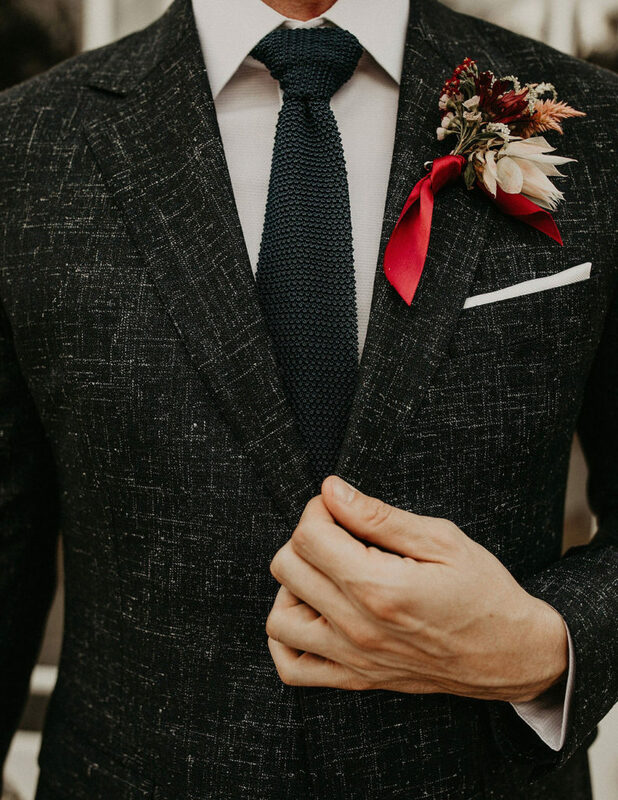 This amazing inspiration shoot is filled with statement pieces. 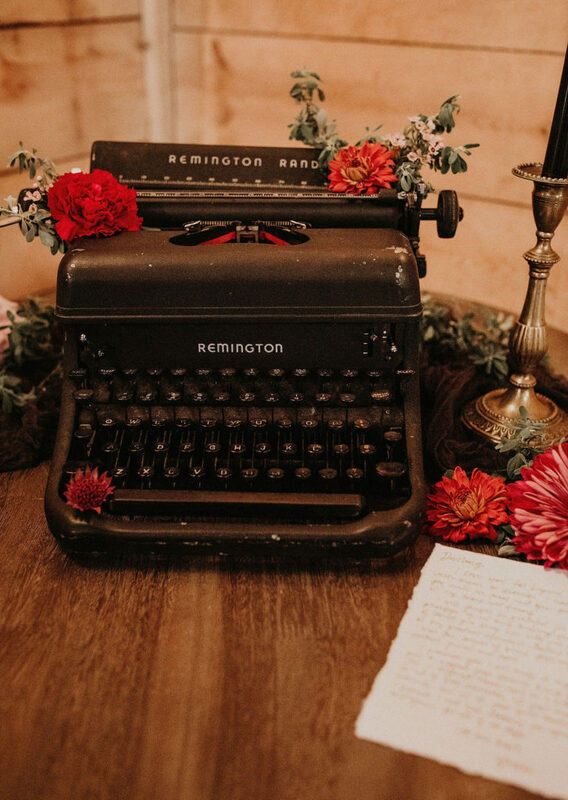 From the brass heron figurines to the vintage typewriter and cowhide textiles in the lounge. 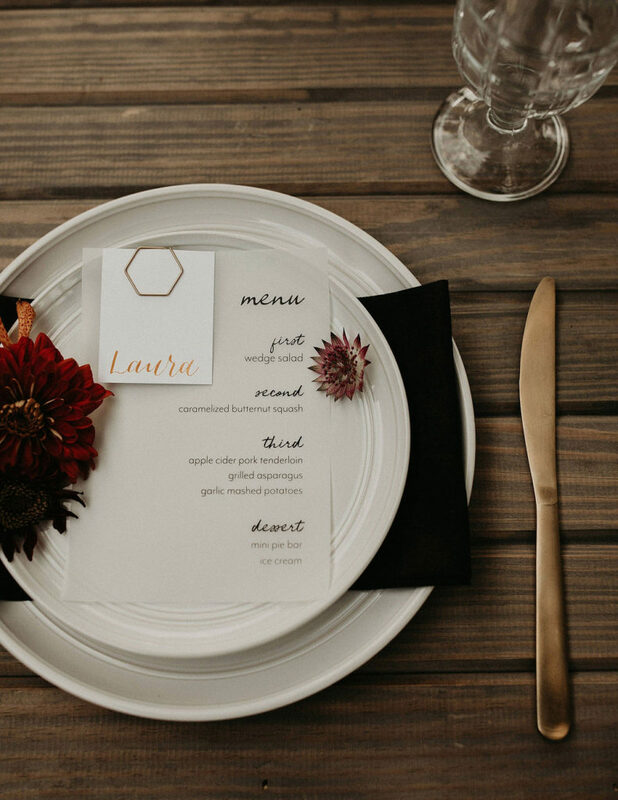 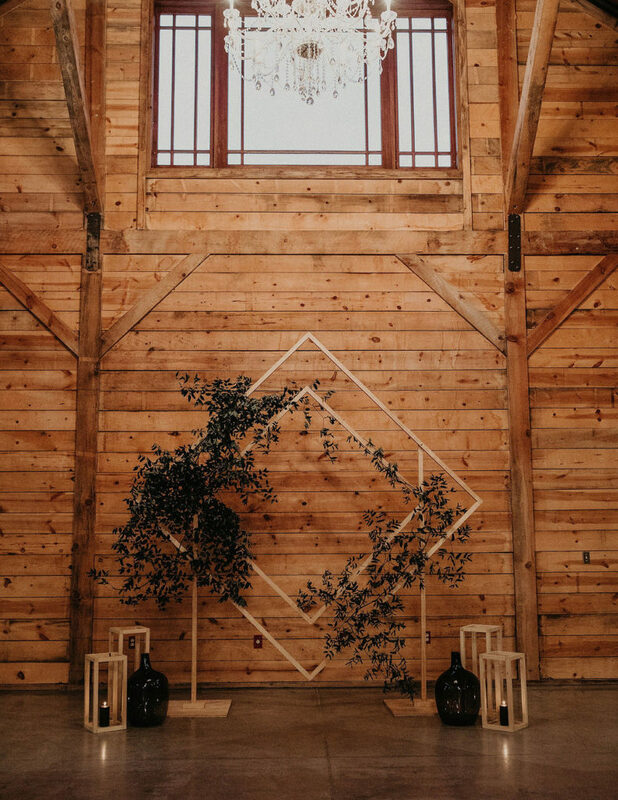 The inspiration behind this shoot came from nontraditional wedding décor, like the wooden lanterns, minimally modern ceremony site, and fun extras. 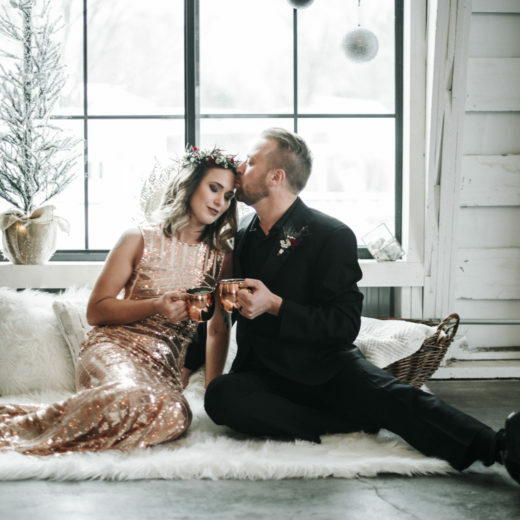 Not only was the décor nontraditional, so was the couple. 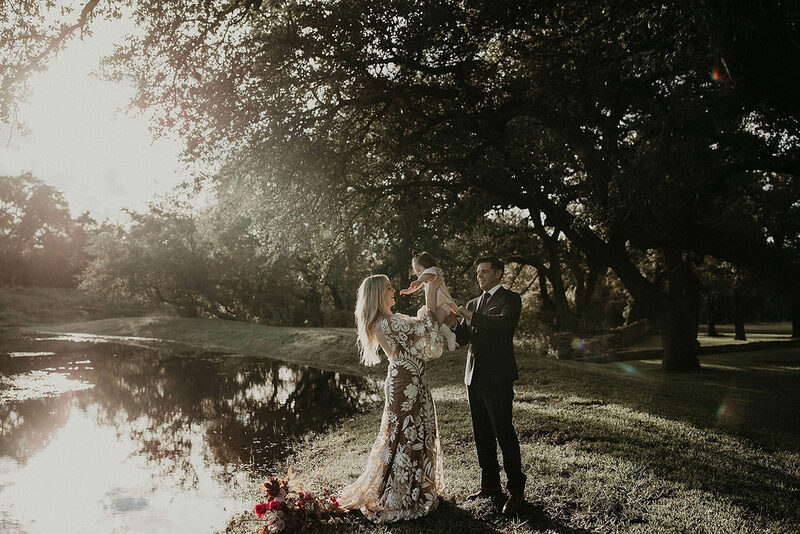 The bride was pregnant with their second child for this shoot. 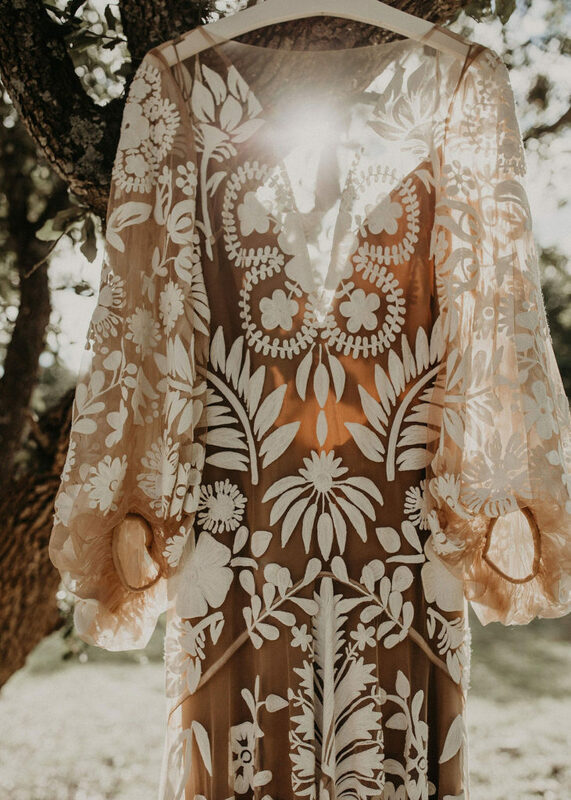 Incorporating these aspects into the shoot led for a one of a kind stunning outcome. 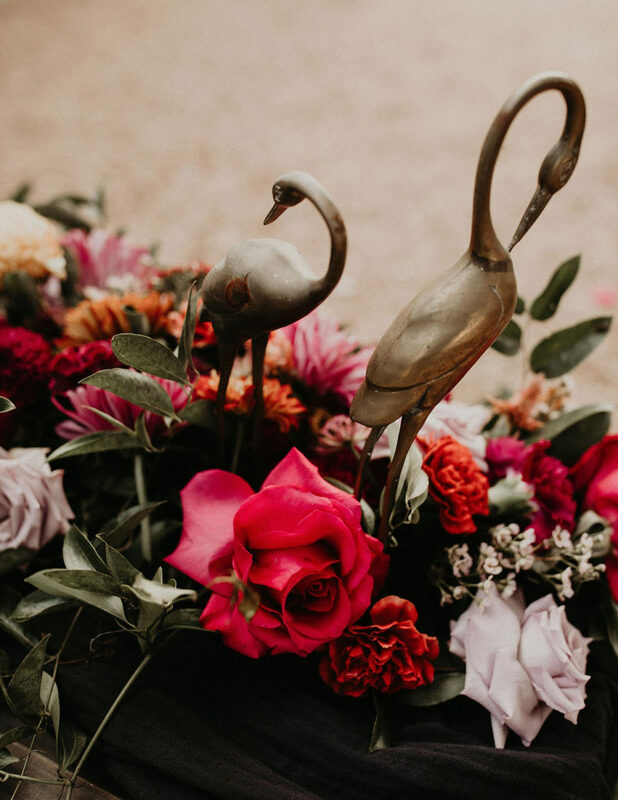 We loved how the sweetheart table florals overflowed and trailed over the side creating a very organic tableau. 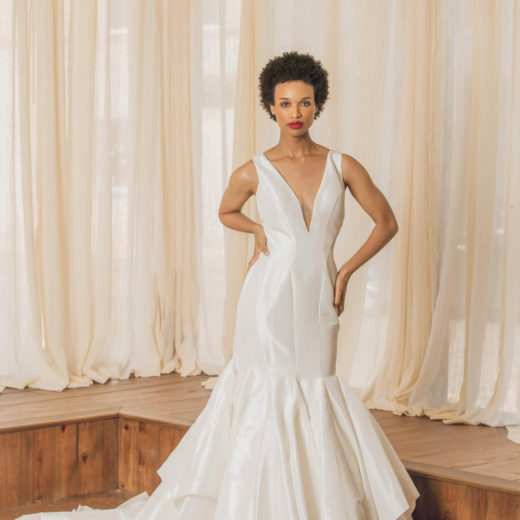 Y’all this Tara Latour dress is one of our new favorite things! 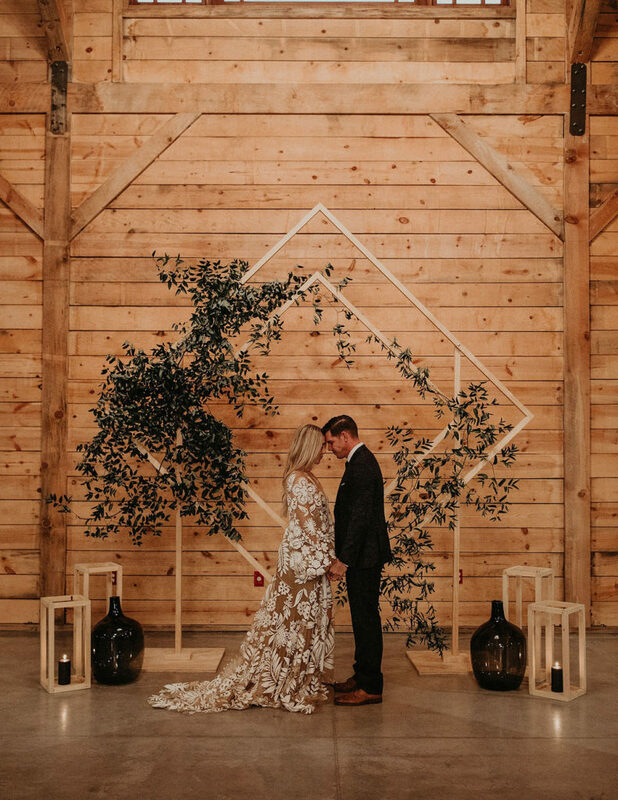 We loved how the sweetheart table florals overflowed and trailed over the side creating a very organic tableau. 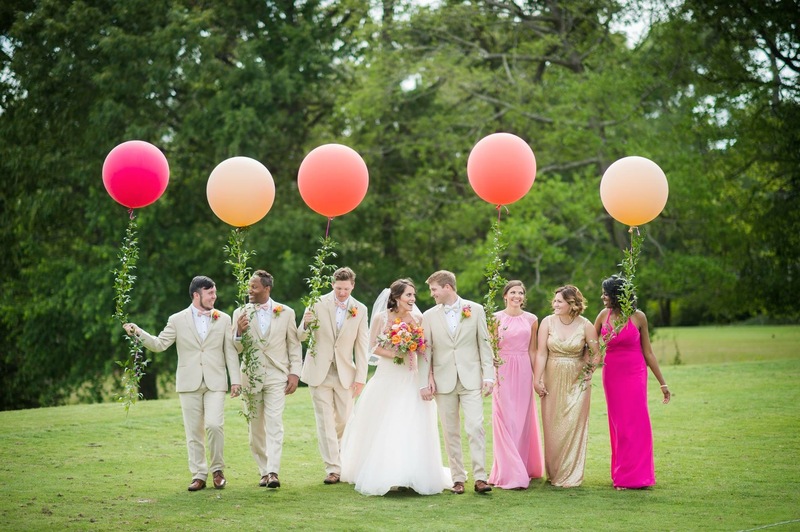 Love is in the Air – Wonderful Wedding Balloons!